OPEN HOUSE CANCELLED. 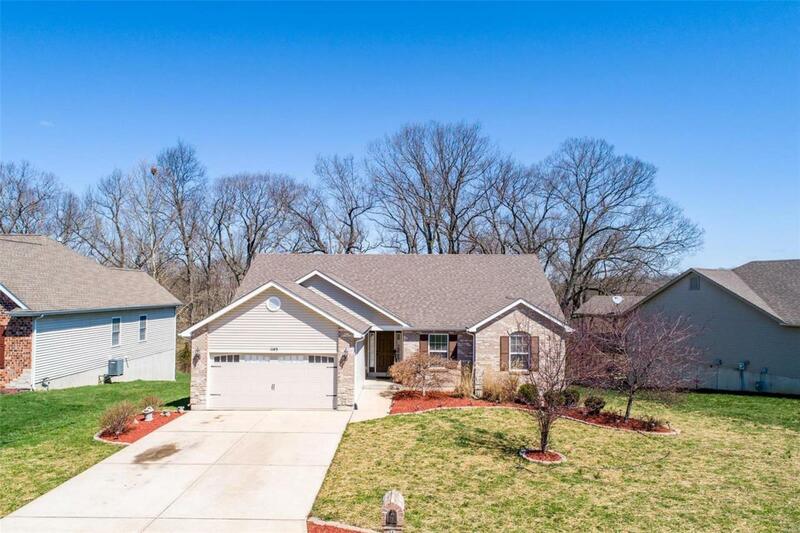 Beautiful curb appeal and well manicured landscaping welcome you to this GORGEOUS ranch! Enter the great room with STUNNING, wide plank, Brazilian hardwood floors and a gas fireplace with marble surround accentuated by the vaulted ceiling and 3 large picture windows allowing plenty of natural light. Hardwood continues through the dining room and transitions into the gourmet kitchen with tons of granite countertop space, 42" custom cabinets, custom stone backsplash, breakfast bar, pantry, unique travertine tile, and a bay window with a W/O to the deck. Luxurious master suite has a W/I closet and plenty of space for large furniture and a sitting area. MB offers separate shower and soaking tub with divided sink arrangement. Two generous size bedrooms complimented by hardwood and spacious closets, and MAIN FLOOR LAUNDRY complete this level. Partially finished LL provides an additional living area with a W/O to the patio and hot tub. All appliances stay with the home.